North Koreans eager to hear news from Singapore of the summit between Kim Jong Un and Donald Trump will have to wait a little longer. On Tuesday at 3pm, moments after the two leaders had signed their agreement, Korean Central Television came on air as scheduled. 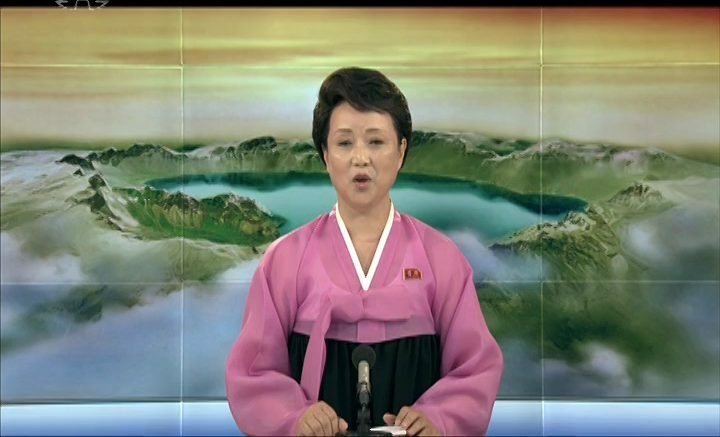 After the obligatory national anthem and Songs of both Kim Il Sung and Kim Jong Il, the broadcast aired a special news bulletin. But it wasn’t about the meeting with Trump. It mirrored the coverage that had been all over the front page of the Rodong Sinmun that same day: Kim’s nighttime stroll around Singapore. It was broadcast at 15:10; 17:00; 20:00 and 22:10. That fits the typical model for special news reports on the activities of Kim Jong Un. 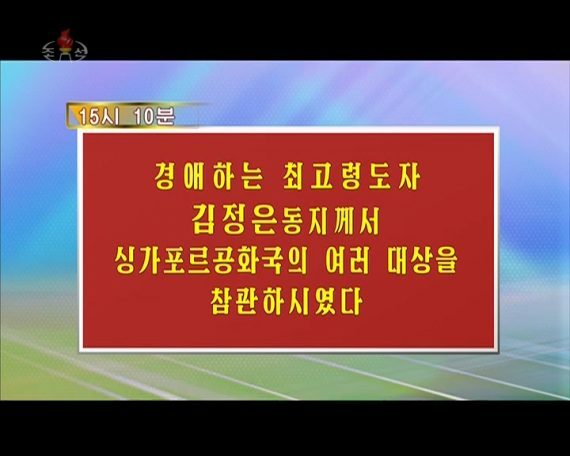 The previous day, KCTV had included still images in the first two airings of the special news then dropped them in subsequent broadcasts. On Tuesday it didn’t both with still images or video, so while newspaper readers saw Singapore at night, TV viewers didn’t. Looking ahead, the summit talks with Trump and the agreement are likely to be the major news on Wednesday and, if KCTV can get its editing done fast enough, viewers might be able to watch the first video report on the summit on Thursday.